As we walked through a treeless landscape in Gleann Fhiodhaig my friend noticed a single tree in the far distance. We could only see the top of it. 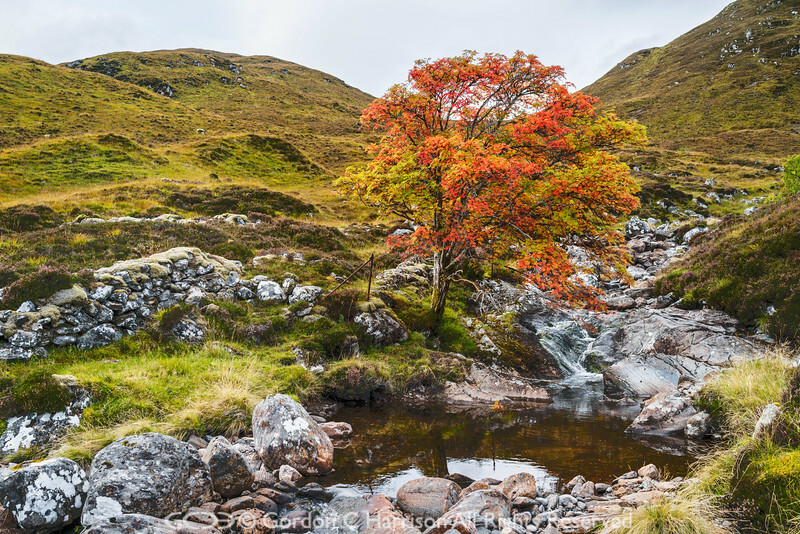 Even in the distance the tree made a striking display of autumnal colours against the muted tones of the surrounding hillside. We decided to walk towards it to enjoy its beauty and discovered that it was in a lovely setting beside a small stream.